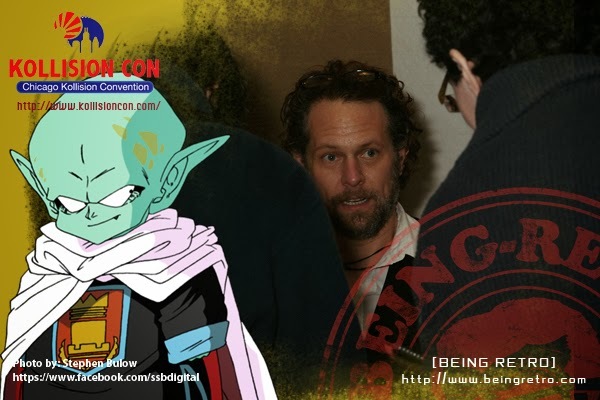 Chuck Huber started acting in Anime in the roles of Garlic Jr. and Android 17 in DBZ. Since then he has voiced hundreds of characters including Hiei in YuYu Hakusho, Stein in Soul Eater, Kululu in Sgt. Frog, Mohji in One Piece, Shou Tucker in Full Metal Alchemist, Han in Blue Gender, Hiro in Shin Chan, Ashe in Black Butler, Reever in D. Gray Man, Hector in Glass Fleet, Yuichi in Initial D., Akai in Oh Edo Rocket, Melt in The Tower of Druaga, Adashino in Mushishi, Eric Nishijima in Darker Than Black, Havel in Trinity Blood, Austria in Hetalia and many more. He has been a writer on Hetalia, Sgt. Frog, Baccano, Spice and Wolf and others. As a filmmaker Chuck has acted, produced, written or directed for Arbor Day - The Musical, The Troubadoors, The Fragility of Seconds, The Mechanical Grave, Odd Man Out among others. He began acting in Chicago at the Goodman Theater, Court Theater, Steppenwolf Theater after graduating from DePaul University and continues to work on stages in the Dallas/Fort Worth area. Most recently he played Hugh Jameison in the movie Parkland, produced by Tom Hanks and starring Billy Bob Thornton and Paul Giamatti. I will be having more with Chuck, he was part of a panel that was called "Anime Guest Improv" I was able to record a bunch... just not time to edit. Parkland was a big opportunity for him. Another great voice actor and that's the best stop motion animated video of all time! It is always cool to meet the person behind the voice. I love Sledgehammer I used to watch the video whenever I caught it on TV. My Blog(s) and I ask myself "WTF"! YES YOU KNOW YOU LOVE THIS SONG, SO SING IT! SHE IS THE QUEEN AND DEATH ON TWO LEGS! I AM CRAZY AND I AM TOO OLD FOR THIS... SH#T!